Senior student, Jonathan Aparicio's Designs will be featured in The Pin Show along with many UNT alumni. 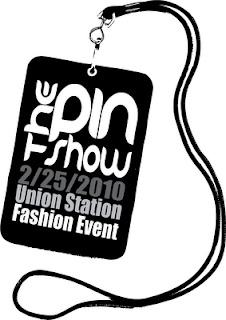 The Pin Show 2010 will take place on Thursday February 25th at the renewed Historic Union Station in downtown Dallas. The event will feature 31 independent fashion and accessory designers showcasing the new looks on the runway. The Pin Show was founded by Independent Designers Rachel Nichelson (2004 graduate) and Julie McCullough Kim in 2007 to provide all emerging fashion industry designers, artists, and retailers a profound launching platform for the fashion industry. For ticket information, visit http://thepinshow.typepad.com/my_weblog/.